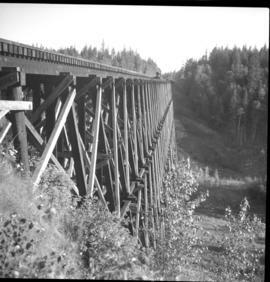 Photograph depicts a Pacific Great Eastern trestle. 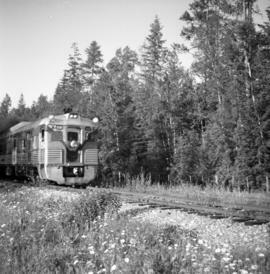 Photograph depicts a northbound 4 unit Budd passenger train at the flag stop in Australian, BC. 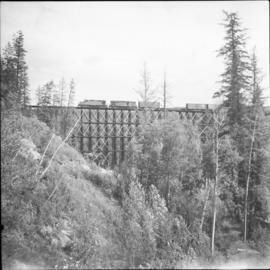 Photograph depicts a trestle near Australian, BC on mile 364. Visible is a northbound freight of 2 locomotives and about 60 cars.